My grandmother passed away a year and a half ago, and when she died, I acquired some of her old recipes. You see, my grandmother was a phenomenal cook and any chance I could take to talk with her about food, or help her in the kitchen, I took. Most of the recipes are handwritten by her, but she also had some from her friends. And most of these recipes, just by looking at them and the recipes cards they were written on, appear to be from the 1950s-1970s. (After all, wasn’t the jello mold craze around then? And she also had a recipe for a mustard plaster, which I thought was hilarious, because she applied that to my dad when he was a kid and had a bad chest cold. She swore by it, though.) When I returned home from the funeral, I filed these recipes in my recipe box and promptly forget about them until late last week. 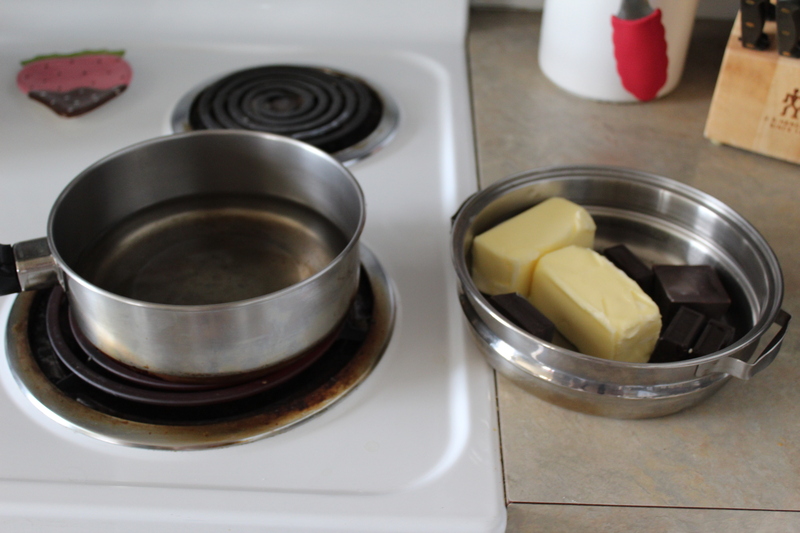 Add a small amount of water to the pan and get it boiling. (You can see how little I added.) Once it’s boiling, turn the heat down to simmer. 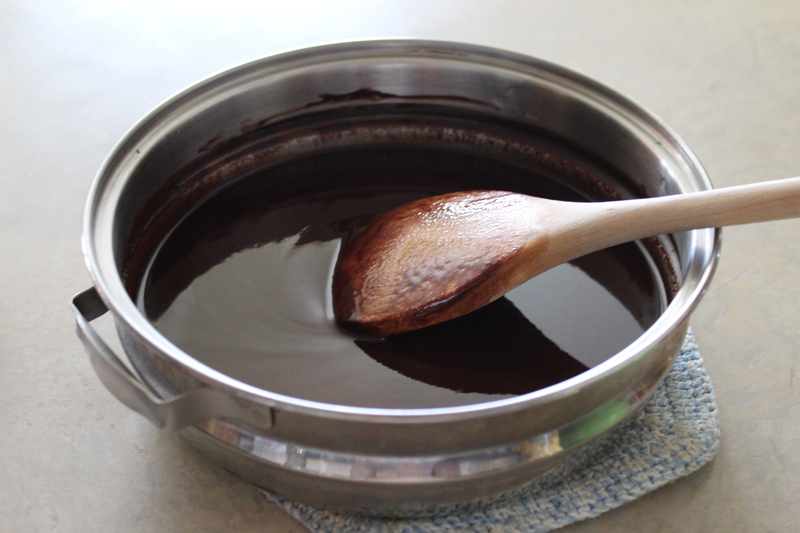 In the top part of the boiler, add butter and unsweetened chocolate squares. Stir the mixture every so often until it is all melted and smooth. Remove it from the heat and allow it to cool down to room temperature, about 10-15 minutes. Stir it just until it’s combined and there are no traces of flour. It will be a thick batter. 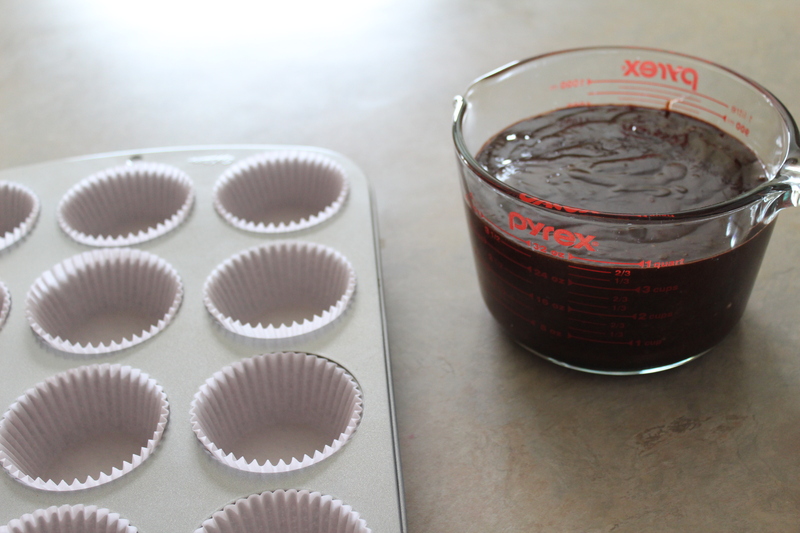 At this point, you can scoop them into the cupcake liners, or pour the batter into a measuring cup and then “pour” the batter into the liners. 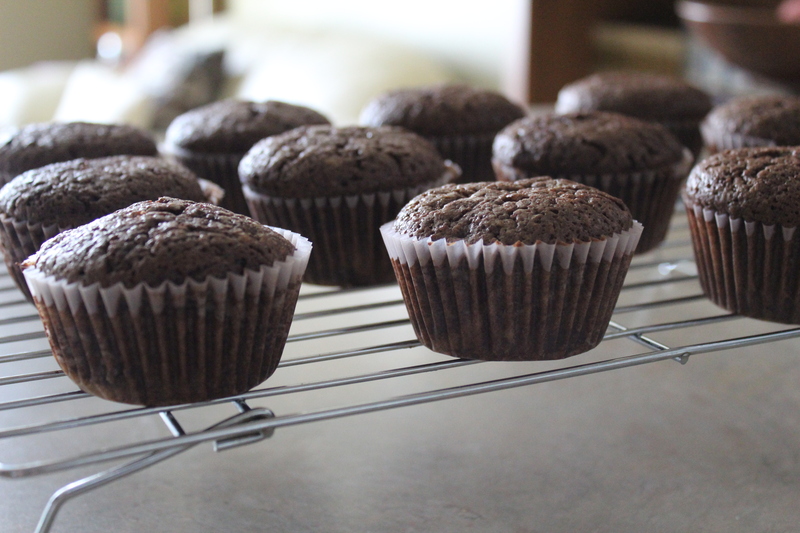 Pop in the oven to bake for a little while, and then when they’re done, place the whole muffin tin on top of a cooling rack for about 5 minutes before removing from the cupcakes to cool completely. Oh, they’re so lovely! The sprinkles are for added decoration. You could use jimmies too, if you wanted. 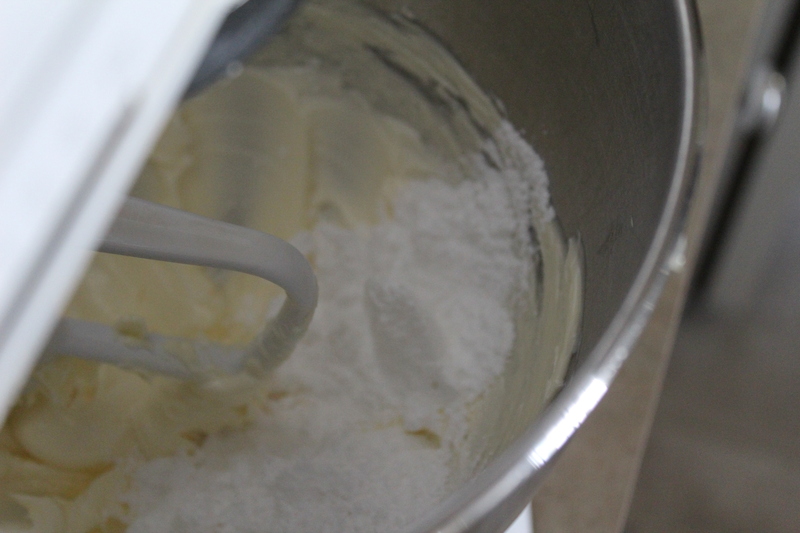 To make the buttercream, add softened unsalted butter to a mixing bowl. 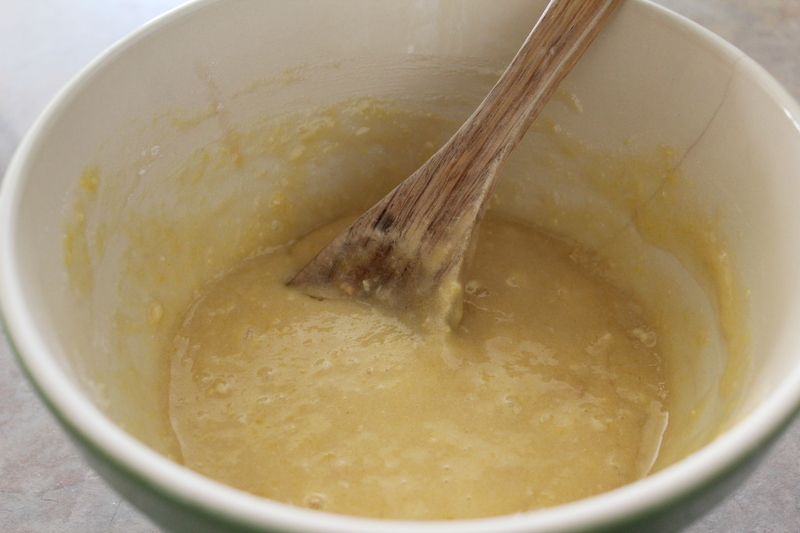 Mix on medium-high speed for about 2-5 minutes, until the butter is nice and fluffy, and a pale yellow color. Add sifted powdered sugar, half a cup at a time. Mix on low speed until the powdered sugar is mixed in (otherwise it’ll flare out of the bowl and you’ll be wearing the powdered sugar), and then on medium-high speed for a couple of minutes. Do this three more times, until all the powdered sugar is incorporated. Then add the raspberry flavoring and food coloring, mixing again. The buttercream should be nice and fluffy. 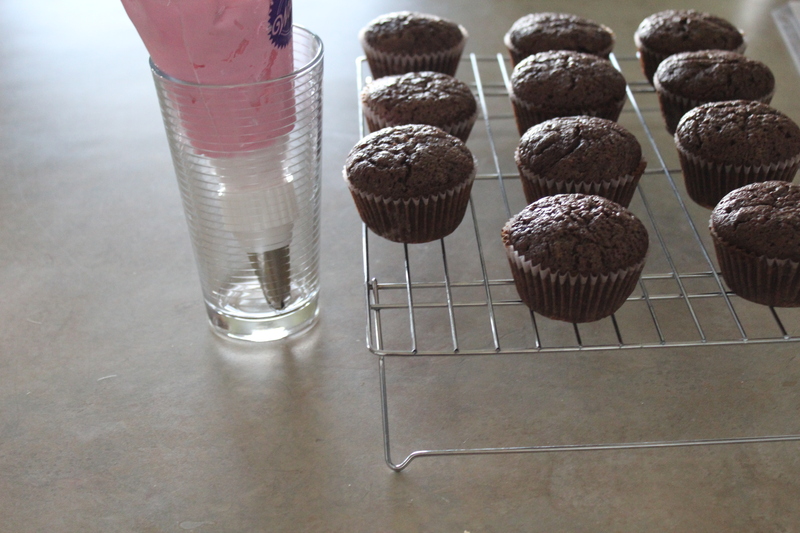 Scoop the buttercream into a pastry bag with a 1M tip. 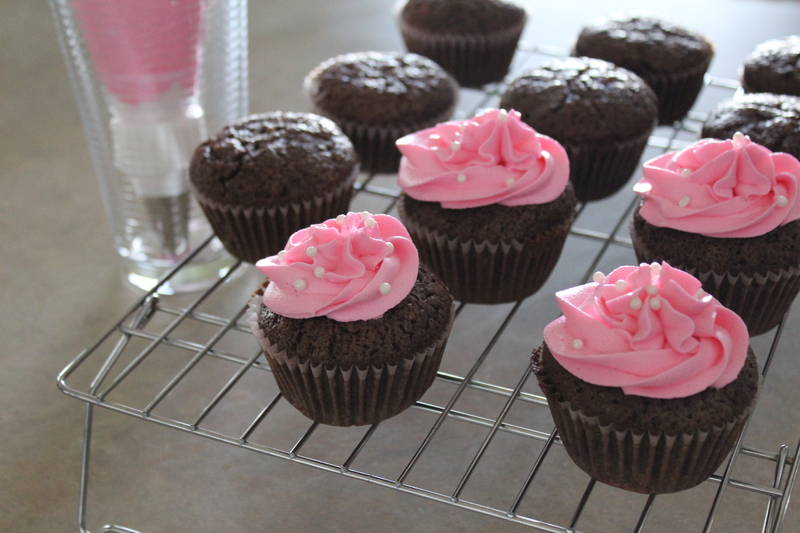 Working with a few at a time, swirl the buttercream frosting on top of the cupcakes and then sprinkle with the white sugar pearls. 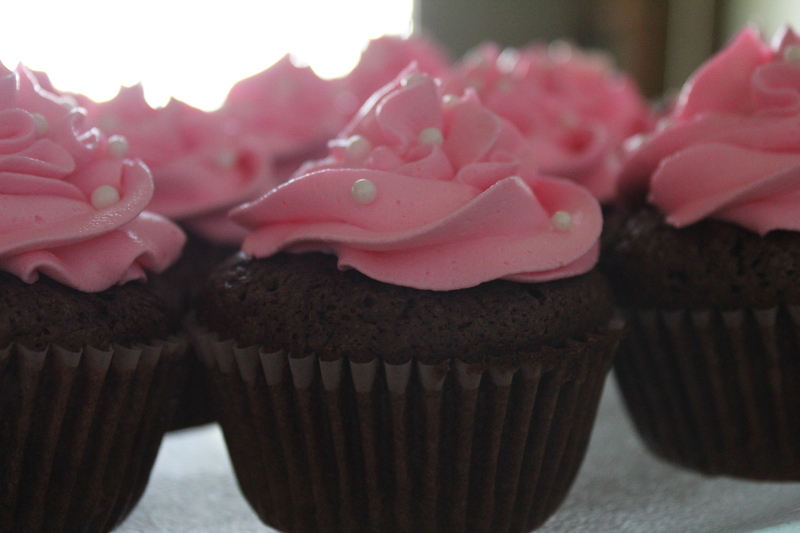 Pipe the frosting on the rest of the cupcakes and sprinkle with sugar pearls. You’re done! Preheat oven to 325 degrees. 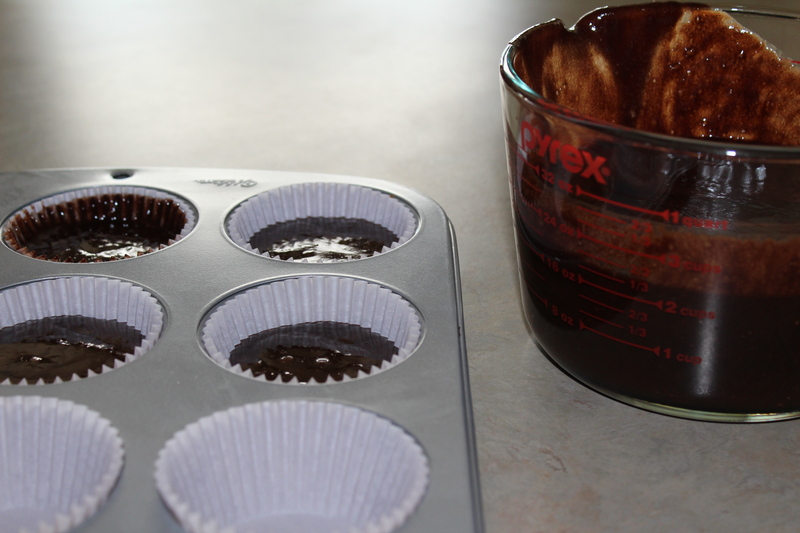 Line a muffin tin with liners. 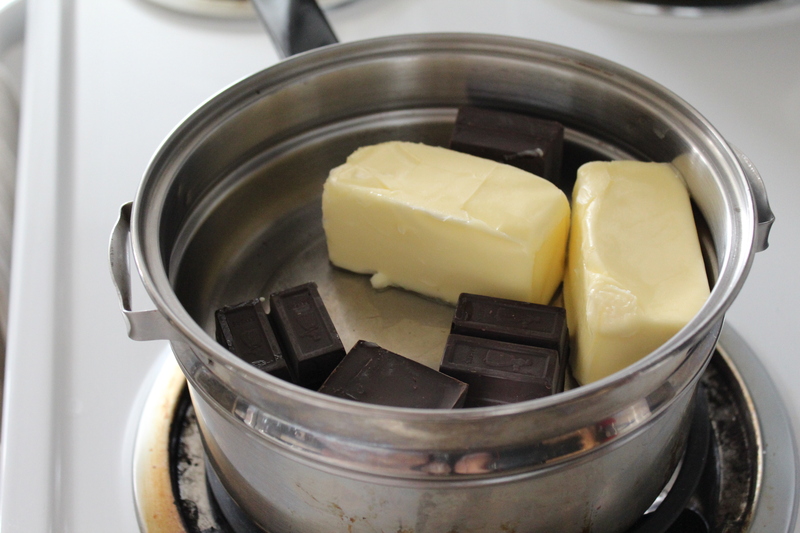 In a double boiler, melt the chocolate and butter over low heat. Remove from heat and let it cool to room temperature, about 10-15 minutes. (If you’re going to add nuts, add them now into the chocolate mixture.) 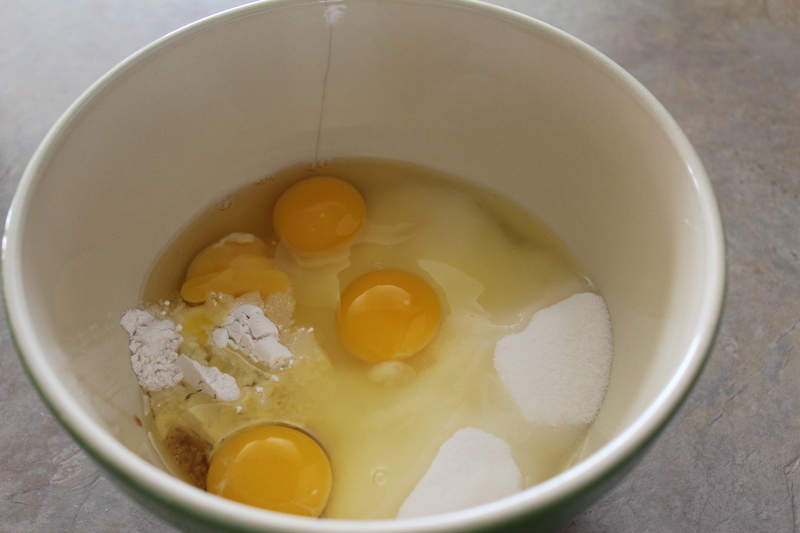 Meanwhile, combine the eggs, sugar, flour, vanilla, and salt. Mix only to combine–do not beat. 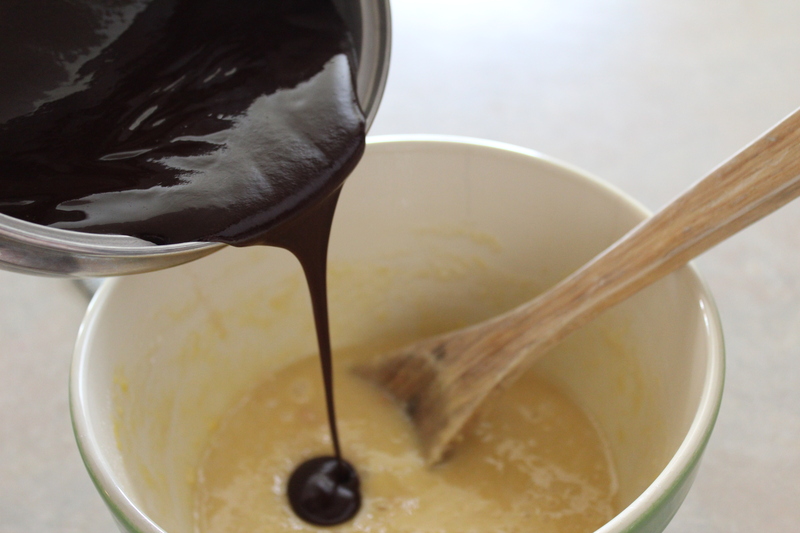 Add cooled chocolate mixture and stir to combine. 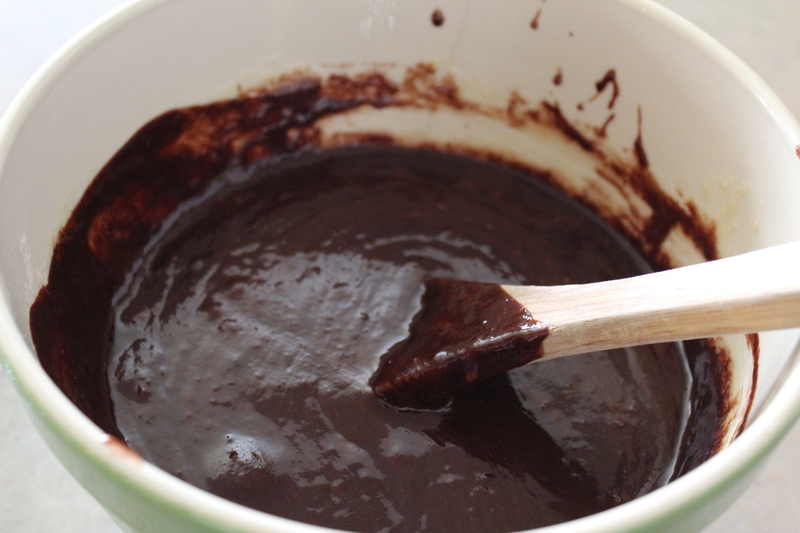 Fill brownie batter almost to the top of each liner, as they really don’t rise. Bake for 30-35 minutes. 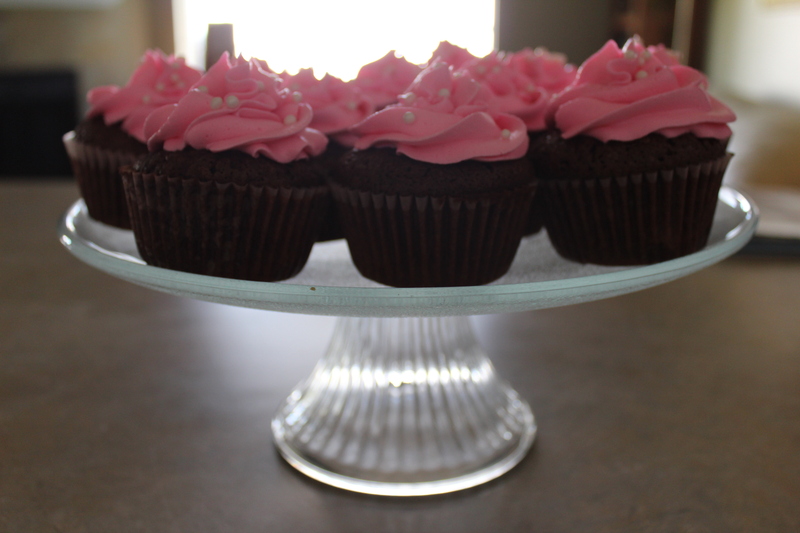 To know if they’re done, when the alloted time is reached, stick a toothpick in the center of one brownie cupcake. If it comes out clean, it’s done. 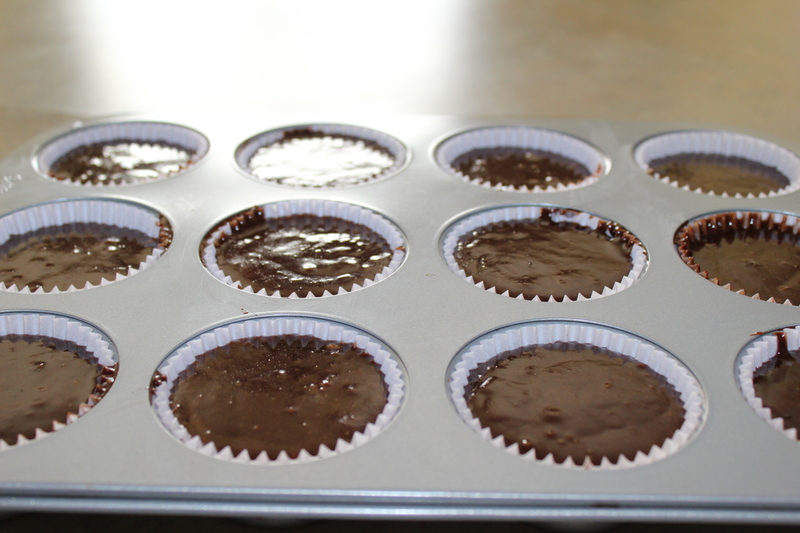 Place tin on cookie rack for 5 minutes, before removing cupcake brownies out of tin to cool completely. 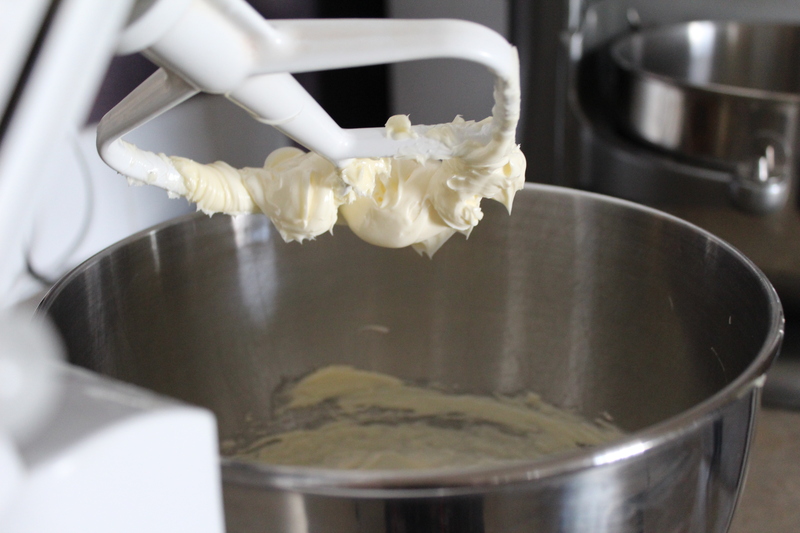 Beat butter with a mixer on medium-high speed until pale and creamy, 2-5 minutes. Reduce speed to low. Add powdered sugar, 1/2 cup at a time, bringing the mixing speed back up to medium high. Beat for 2 minutes, before reducing speed and adding more powdered sugar. Add raspberry flavoring and food coloring. Beat until buttercream is smooth and fluffy. Scoop into piped bag with a 1M tip. Swirl onto cupcakes. 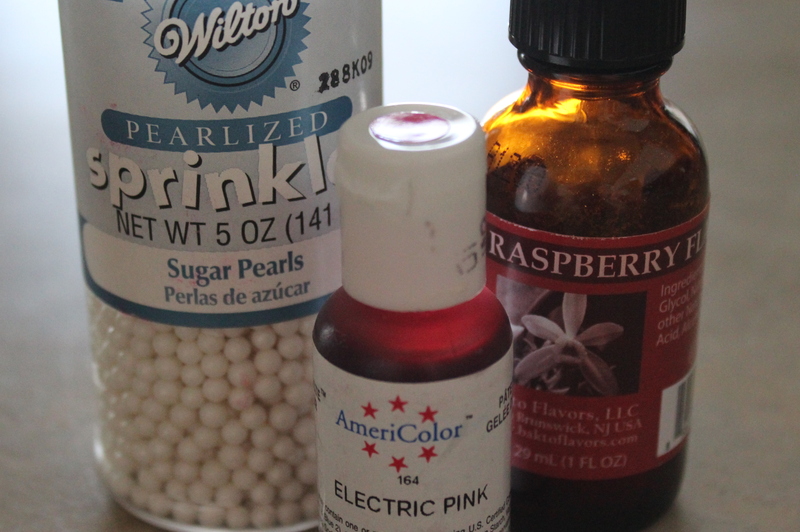 Sprinkle with white sugar pearls. You make plain brownies look exquisite, Holly! This will be on the inn’s menu for afternoon refreshments next week!! Yummm!! These look GOOD! 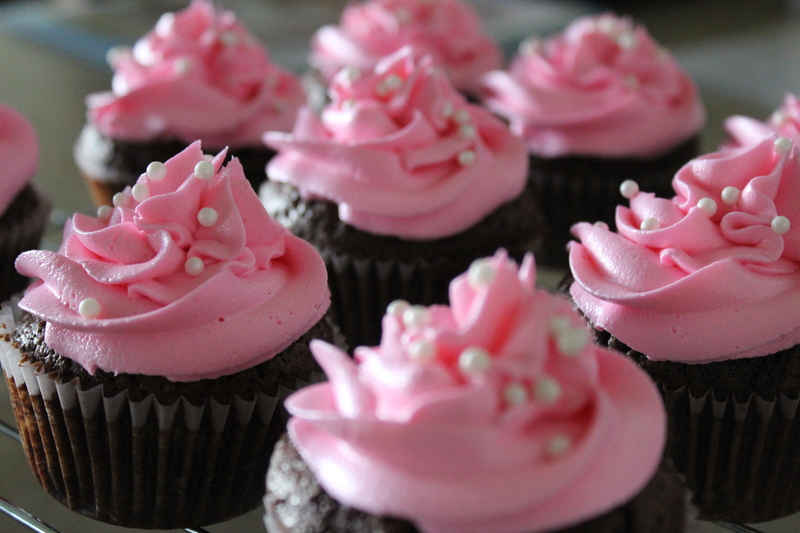 I love the pink frosting. BTW, I think mustard plaster does something similar to vicks (the kind you put on your chest). Yeah, I knew that about the mustard plaster. Dad said it was thick and stung a bit. It seemed to do the trick, though!